If you're interested in an excessively large and excessively powerful vehicle (this is America, why wouldn't you be? ), Chevrolet has just the pair of SUVs for you. Available at Chevy dealers, warranties included, are modified versions of the Suburban and Tahoe producing...wait for it...1,000 horsepower. Tuned by Specialty Vehicle Engineering, a known GM supplier responsible for the current Yenko muscle cars, the SUVs get a custom-built, 6.8-liter, supercharged V-8 based on the LT1 producing precisely 1,000 ponies and 875 pound-feet of torque. For those more mechanically inclined than I, the mill features a "blueprinted LT1 aluminum block, race-quality, computer-balanced rotating assembly including forged 4340 steel crankshaft and forged steel H-beam rods, forged aluminum pistons, CNC ported high-flow LT4 cylinder heads, a custom supercharger, and an eight-rib belt drive system." If all of that sounds like gibberish, just know 1,000 hp is 37 more from what you get out of a Ferrari LaFerrari. The engine and supercharger are backed by a three-year/36,000-mile warranty while the heavy-duty upgraded transmission is covered for 12 months/12,000 miles. The price of all of this excess? 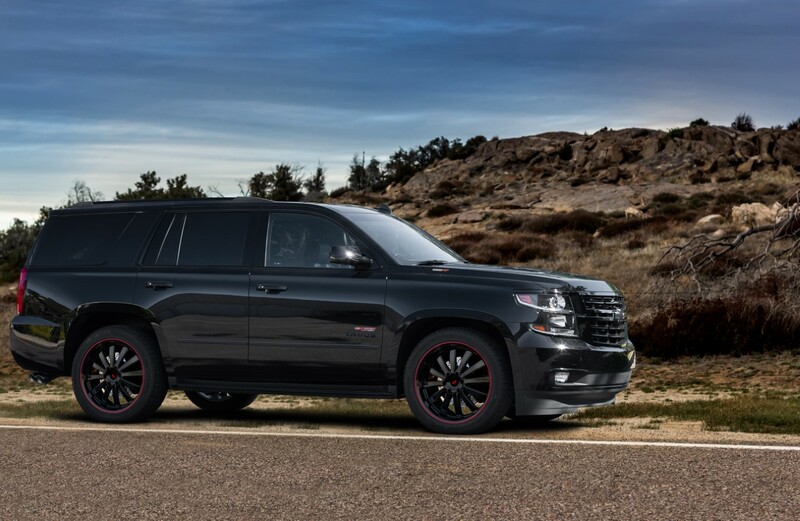 $66,995 on top of the purchase of a 5.3-liter 2019 Tahoe or Suburban. 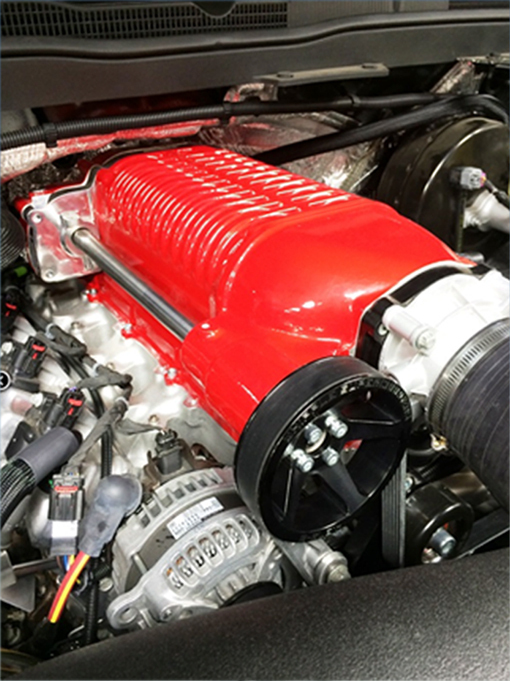 If that's a little too rich for your blood, Special Vehicle Engineering also offers a $44,995 package that gives your full-size Chevy SUV 810 hp. Okay, so you won't get the bragging rights that come with parking a thousand horsepower on your driveway but once it leaves the driveway and gets on the road, 810 is plenty. 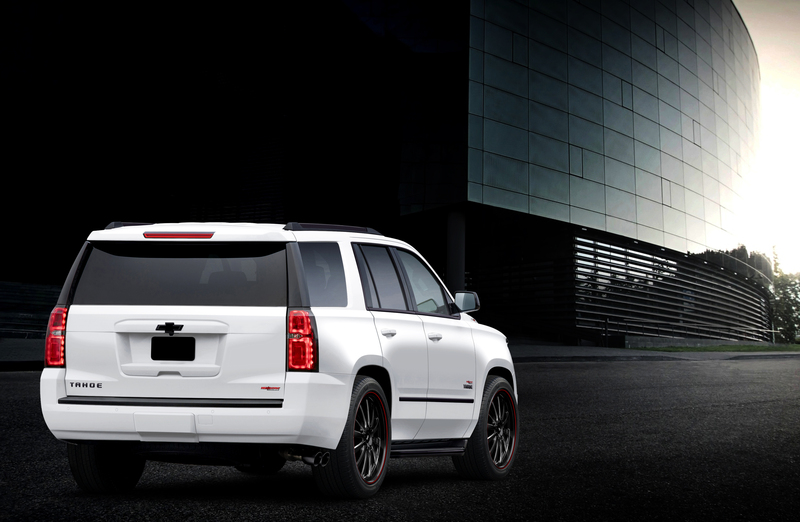 Now you can get the affordable, five-seat Tahoe Custom with cool black accents.